Alterations in the basal ganglia circuitry are critical events in the pathophysiology of Parkinson’s disease (PD). We earlier compared MPTP-susceptible C57BL/6J and MPTP-resistant CD-1 mice to understand the differential prevalence of PD in different ethnic populations like Caucasians and Asian-Indians. The MPTP-resistant CD-1 mice had 33% more nigral neurons and lost only 15–17% of them following MPTP administration. In addition to other cytomorphological features, their basal ganglia neurons had higher calcium-buffering protein levels. During disease pathogenesis as well as in MPTP-induced parkinsonian models, the loss of nigral neurons is associated with reduction in mitochondrial complex-1. Under these conditions, mitochondria respond by undergoing fusion or fission. 17β-hydroxysteroid type 10, i.e., hydroxysteroid dehydrogenase10 (HSD10) and dynamin-related peptide1 (Drp1) are proteins involved in mitochondrial hyperfusion and fission, respectively. Each plays an important role in mitochondrial structure and homeostasis. 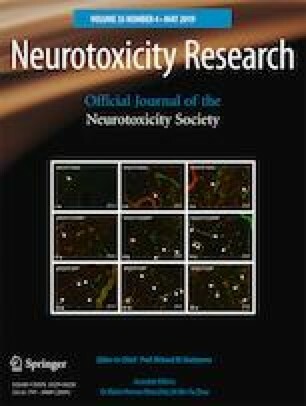 Their role in determining susceptibility to the neurotoxin MPTP in basal ganglia is however unclear. We studied their expression using immunohistochemistry and Western blotting in the dorsolateral striatum, ventral tegmental area, and substantia nigra pars compacta (SNpc) of C57BL/6J and CD-1 mice. In the SNpc, which exhibits more neuron loss following MPTP, C57BL/6J had higher baseline Drp1 levels; suggesting persistence of fission under normal conditions. Whereas, HSD10 levels increased in CD-1 following MPTP administration. This suggests mitochondrial hyperfusion, as an attempt towards neuroprotection. Thus, the baseline differences in HSD10 and DRP1 levels as well as their contrasting MPTP-responses may be critical determinants of the magnitude of neuronal loss/survival. Similar differences may determine the variable susceptibility to PD in humans. The authors are grateful to Dr. G.H. Mohan, Head Veterinarian at the National Centre for Biological Sciences, Bengaluru, for providing breeding colonies of the CD-1 mice strain. We thank Dr. Vidyadhara D.J. and Dr. Yarreiphang H. for their help in initiating the experiments. This work was supported by the Science and Engineering Research Board, Department of Science and Technology, Government of India, to PAA (No. SR/SO/HS-0121/2012). SA is a NIMHANS M.Phil. fellow.